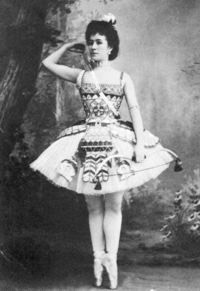 First performed in Saint Petersburg in 1862 .It was Petipa's first success as an independent choreographer. 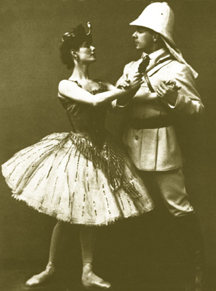 He staged the five-hour show in under six weeks. 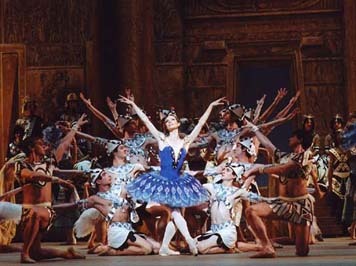 A new production by Pierre Lacotte was brought to the UK by the Bolshoi Ballet in 2004 . An English lord and his servant , John Bull , shelter from a sandstorm in a pyramid during an African safari . The nobleman puffs opium and is transported into the past. He becomes Ta-Hor, an ancient Egyptian man who saves the Pharaoh 's daughter, Aspicia, from a lion. Ta-Hor and Aspicia fall in love, but she is bethrothed to the Nubian king. The king chases them, so Aspicia jumps into the Nile River. At the bottom of the river, the Spirit of the Nile summons the great rivers of the world to dance for Aspicia and then brings her back to land. Aspicia's father grants her permission to marry Ta-Hor, but the opium dream ends and Ta-Hor is transformed back into the English lord.